Ventura Family Owned Operated Casino Party Company! Years of experience in valuing customers and dealers with fun casino themed parties held at local venues and homes in Ventura/Santa Barbara/Los Angeles Counties. Bring your guests together for a fun time playing together with Ventura Casino Party. You provide the space, we transform it into a casino with professional looking tables and fun dealers. We offer our expertise to help you plan your casino night fundraiser. 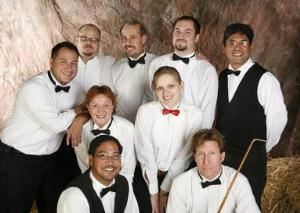 Honor your employees with a fun casino entertainment party during the holidays or to celebrate the year. Throw that extra special birthday casino theme party. Your friends and family of all ages will have a great time with Bar/Bat Mitzvah casino entertainment. Whether it is New Year, a Holiday, Super Bowl or just because, we help get your party rolling. Call us at *NOT DISPLAYED* to book your event or invite us to your board meeting. We bring Vegas style fun to you. Our home is in Ventura, our parties in your home or venue throughout the Los Angeles, Ventura, Santa Barbara County areas.